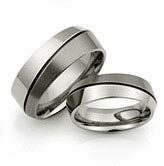 Titanium rings for men and women last a lifetime, which make them the perfect choice for the most important day in your life—your wedding. 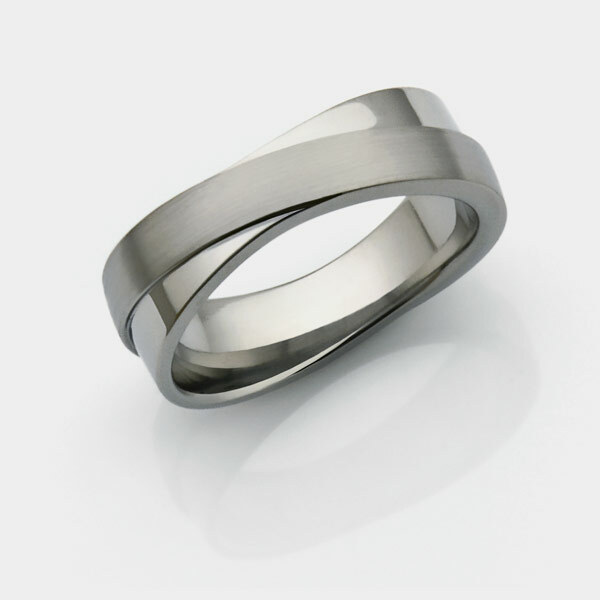 Here at TitaniumStyle.com, you can find the widest online collection of titanium rings for women and men available in a variety of unique, elegant styles. 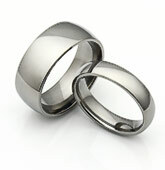 Say "I do" and symbolize your vows with men's and women's titanium wedding bands for rings that will last a lifetime. Your wedding day is one of the most precious and special days of your life. The small circle on your finger symbolizes love, honor, and commitment, which is why it is so important that the wedding band you ultimately choose to wear for the rest of your life is guaranteed to last. 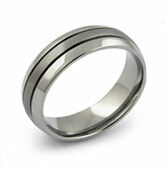 Infinity, Semi-Domed, and Hammered Finish Titanium Rings - Perfect choices for wedding bands, cocktail or anniversary rings. TitaniumStyle.com boasts a large selection of gorgeous titanium rings for men and women, so we're sure to have something that fits your preference. 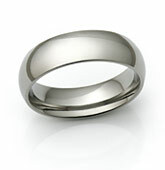 A wedding band should suit both of your lifestyles, tastes, and personalities. 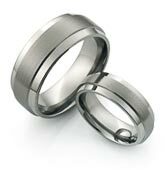 Our titanium wedding bands are offered in a variety of styles so you can find matching men's and women's wedding bands that you're looking for. Whether you choose a style that has timeless elegance or a contemporary laser texturing, our quality titanium rings for women and men are precisely designed and meticulously polished for a lifetime of wear. Titanium, which has become extremely popular over the past decade, is a strong metal that is very lightweight, weighing only 1/3 as much as gold, and is amazingly comfortable and incredibly resilient to everyday wear and tear. 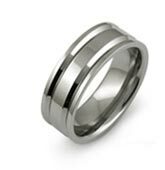 Even after multiple refinishing touch-ups, you can rest assured that your titanium ring will retain its original form and design for the long haul. 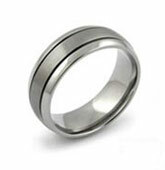 The color of titanium wedding bands is close to that of platinum, but with a darker, rich silver color. 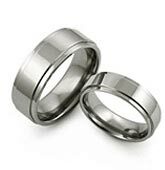 Constructed of the highest aircraft grade titanium, our titanium rings for men and women are hypoallergenic, so you don't have to worry about skin irritation or an allergic reaction. 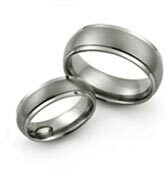 Titanium Wedding Rings with Diamonds and Offset Groove. Men's and women's titanium rings can be used as a spectacular and elegant setting for diamonds or any other precious gems. 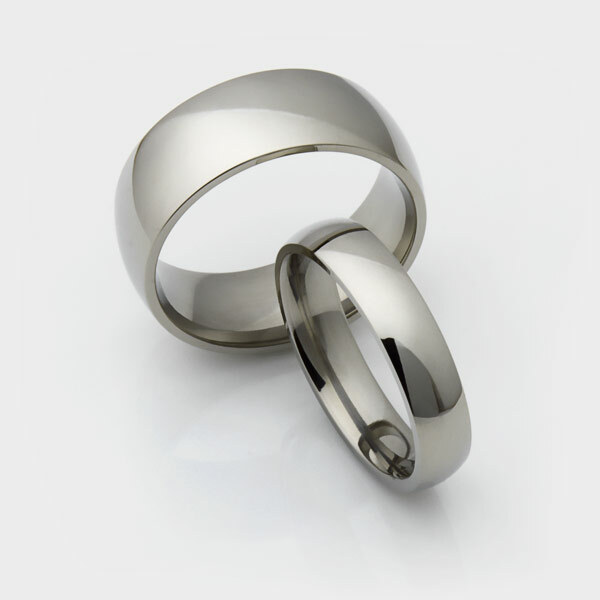 The beauty, value, and quality of your titanium wedding band can give you enjoyment for a lifetime, which is why in recent years, titanium wedding rings have become one of the top choices for men's wedding bands. 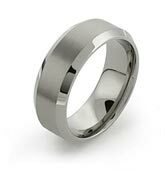 Men's Titanium Wedding Bands. Originally known for its use in aerospace technology and deep-sea projects, titanium has been widely used because of its light weight as well as its sturdy and durable properties. 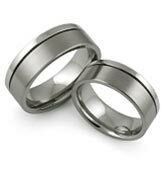 Because of their strength, men's wedding bands made out of titanium have become incredibly popular, and it's easy to understand why. 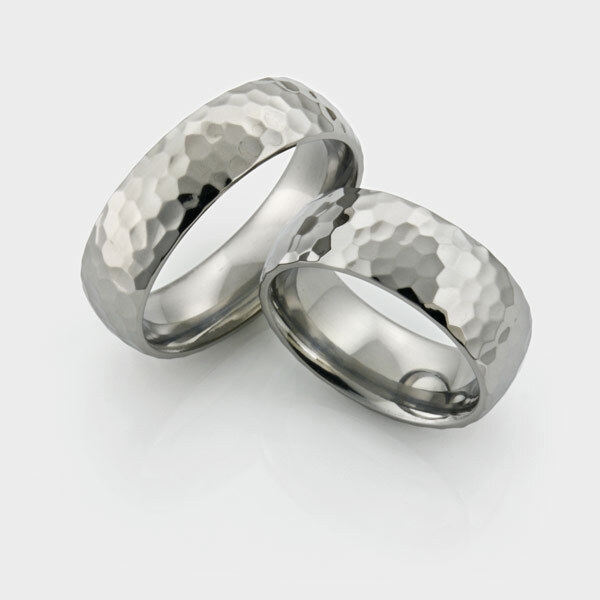 Men's titanium rings are perfect for those who play sports, are very physically active, or have an occupation where they use their hands. 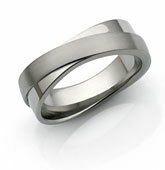 Men have long desired a wedding band that is constructed of a metal that won't easily bend or show signs of daily wear. 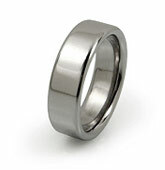 Enter the tough, beautiful titanium wedding ring. It's a new day for men's wedding bands. 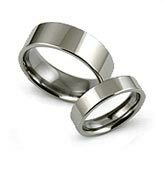 Browse through our online collection of men's and women's titanium rings to find a wide range of styles and designs that can suit discriminating tastes. Available in polished or brushed finish, styles range from traditional domed to modern squared. 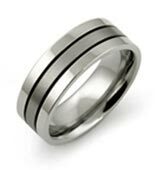 If you need help determining your size and choosing a width, visit our Ring Size Guide for help, or you can contact us for more information about our selection of titanium rings for men and women. Hey guys! Just got my wedding band and wanted to say how much we appreciate the speed in which it came and the exact size and look and engraving. It is awesome. The ring sizing chart was perfect and the width of the ring is just right. We will definitely bookmark your site and recommend you guys to any of my friends that are getting married. What a fantastic company! 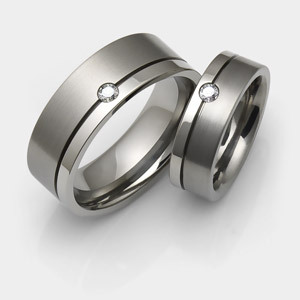 I was really apprehensive about ordering our titanium rings online, but having looked everywhere for the style we wanted, I found it on your site. My *many* emails were answered immediately and always helped to reassure me. The ring sizer arrived in about a week and luckily we were able to amend our sizes as I'd actually ordered them slightly too small originally. Once that was done it was about another week and our rings arrived. They fit perfectly and look absolutely stunning!! I cannot thank you enough for such wonderful service and beautiful titanium rings that we will wear with pride for the rest of our lives. I will definitely be recommending you to all of my friends and family and hope to be a returning customer for various other bits we've liked the look of on here! Keep it up and thank you again! This ring is absolutely perfect: size is just right, and it is simplistic yet beautiful. It's everything I wanted in a titanium ring. Customer service was very friendly and prompt when adjusting some of my order details. I cannot wait for our wedding ceremony so I can begin wearing it!